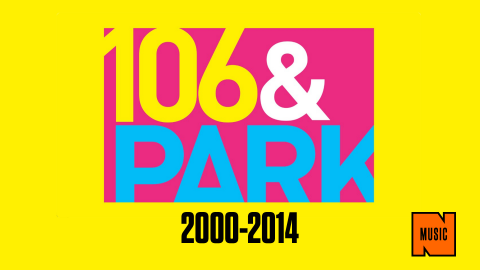 After a 14 year long run, “106 & Park” will make it’s last televised appearance tonight. The live music video countdown program will be moving to it’s new home on a digital format on BET.com. Over the 14 years the show has seen numerous amount of hosts, guest, celebrities, performances and freestyles. Lets take a look down memory lane. Dynamic duo A.J and Free, who we all loved, originally hosted the show for a 5 year period. On August 1, 2005 Julissa Bermudez and Big Tigger temporarily replaced AJ and Free until Terrence J began to co host with Julissa. The Summer of 2006, BET held a nationwide search BET New Faces Contest, for the next hosts of 106 & Park which landed Terrence J and Rocsi their new jobs. In 2012 Rocsi and Terrence announced they would be retiring from the big comfy couch. Fall of 2012, the new hosts were announced which included, Bow Wow, Shorty Da Prince, Paigion and Miss Mykie. In 12 years for the first time the show had four hosts. Shortly after, Shorty Da Prince, Paigion and Miss Mykie departed the show leaving Bow Wow a permanent host. On October 1, 2013 Bow Wow was joined by Toroto native Keshia Chante as the official co host. Despite moving to a new format you can still catch 106 and Park specials around New Years and hosting the BET awards red carpet show. We all have our favorite moments from the show that has put youth culture on television daily since the first year of this century. We have pride in being involved with the show that has welcomed almost every movie star, music superstar and fresh-faced talent you can name (you can even throw in a first lady). We’ve all laughed with and been entertained by the young men and women hosts that have charmed us at 6 p.m. (and more recently 5 p.m.) each weekday. All of us have been touched by 106 & Park. Now it’s time for 106 & Park, as a daily TV entity, to take a bow and exit. 106 and Park had a good run and some very good moments, but all good things must come to an end. Previous Did Nicki Minaj Really Bust SB Windows Out Of His Car?